Arkansas state law prohibits payday loans with interest rates in the triple digits. If there is check holding, single payment loans by check cashers are permitted. Lenders are only allowed to issue one loan at a time. Borrowers are allowed to obtain two separate cash advance loans within 72 hours. Lenders may only bring criminal action against a borrower if a stop payment is made on the check or if it is returned due to a closed account. 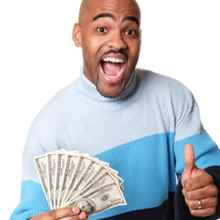 $400 is the maximum payday advance loan allowed by law. Loan Terms Loan terms vary, but range from 6 to 31 days. Arkansas law does not permit extensions or rollovers for either new loans or consolidations. Finance fees cannot exceed 10% of the amount borrowed plus a $10 fee.